Did you miss the casting call for extras on the Hunger Games movies? No worries because you can still get free tickets to the premiere of “The Hunger Games: Mockingjay PART 1”. If you still want to get yourself into the Hunger Games action, the movies premiere is coming up and the production will be giving out free tickets to the event. Are you a huge fan of the Hunger Games? Well, Mockingjay Part 1 is almost here and Los Angeles area fans have a chance to get seats at the movie’s premiere. The Hunger Games films are based on the Suzanne Collins novels and are somewhat of a trilogy, actually there will be 4 films. “Hunger Games: Catching Fire” has already hit theaters and Hunger Games Mocking jay will be split into 2 parts. Part 1 will be released this month and part 2 will come out in 2015. The free premiere tickets are being offered for the film Mockingjay part 1. 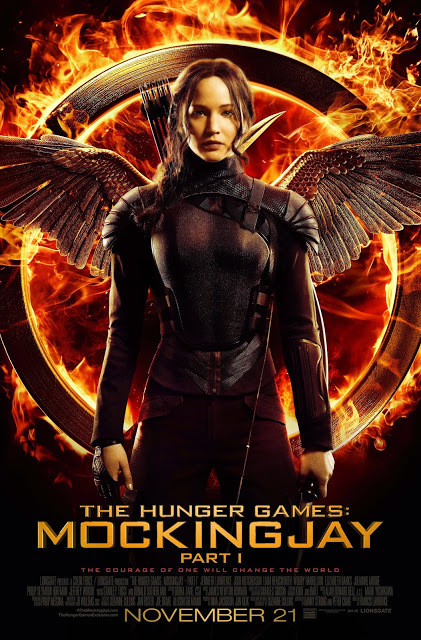 Hunger Games: Mockingjay Part 1 is offering free tickets to the premiere coming up this month. The event will be held in the Los Angeles area and L.A. residents who are huge fans of the film can tryout to get those free tickets. Actually, the tickets will be given away on a first come first served basis, so Hunger Games mega fans who really want this opportunity should probably get there before the rest of the crowd. The event will be using wrist bands at the event and those fans that really, really want those tickets should plan on getting those wristbands… See the rules, address and instructions below! Lionsgate Entertainment will be making some super fans very happy this year. Hunger Games fans can follow the instructions below and maybe get a seat at the premiere. This year in lieu of a traditional “Fan Camp”, tickets to the screening and fan-bleacher access will be given out on the day of the premiere [Nov. 17 at LA LIVE] on a FIRST COME FIRST SERVE BASIS via wrist bands. Per usual, for safety and security of our fans, we ask that you do not line up overnight or in advance of when security and onsite officials designate. This will be outlined in of advance of the day for both ticket/wrist band pick up as well as bleacher load-in. The carpet will be open at a certain designated time – will call / load-in times will be communicated to fans and if they want to be a part of the red carpet experience they will have to be on time. Upon close of the red carpet, fans will be escorted to the theater for the screening. Please note, fans will already have their tickets from will call, but will need to check their phones upon entering the theatre. Fan Parking is available at LOT 7 located on FIGUEROA – across from The Staples Center. My name is Nikeria and I dream to be on the Hunger Games so I hope y’all pick me and I’m 12 years old. Hey my name is Nikeria and I’m 12. I would like to be in the hunger games and I love the movie. My name is Jasmin. I dreamed of being in the hunger games movie. I would love to act, I’m 5’2 and I read the entire series.